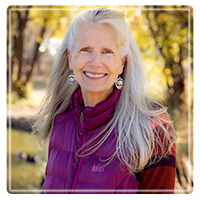 Flagstaff Therapist: Ann Claw - Therapist 86004.
meaningful, healthy relationships with others. consultant to Mirasol, Inc., an internationally renown treatment center for eating disorders. Ann is co-founder and president of Healing Soldiers, Inc.
an emphasis on addictive disorders. She also holds a degree in law. Ann is based in Flagstaff, Arizona. Ann is the author of the children’s book, “The Snow Lion: a Spiritual Journey” (available at www.snowlionbook.com).